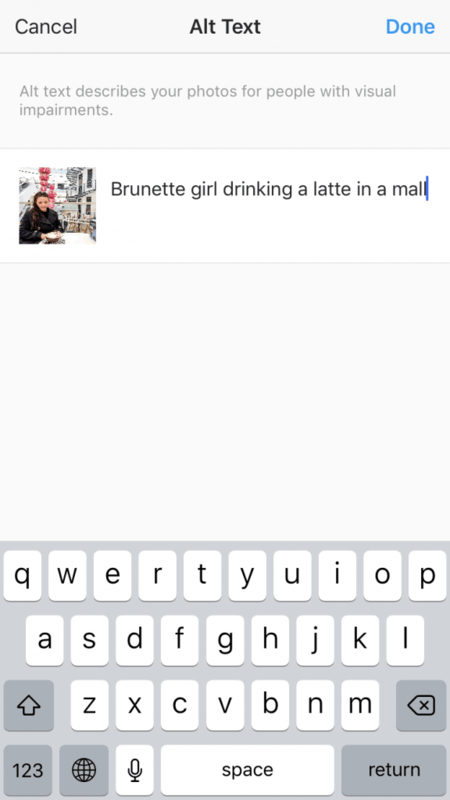 Instagram Finally Adds Alt Text - How and Why You Need to Be Using It! 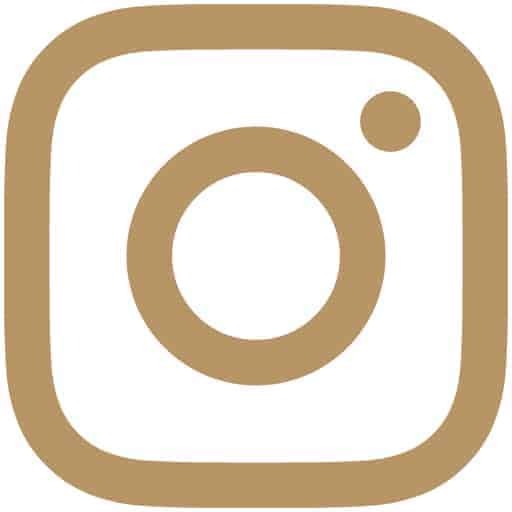 Instagram has finally added the ability for users to add alt text to their photos, making the app accessible by so many more people around the world. 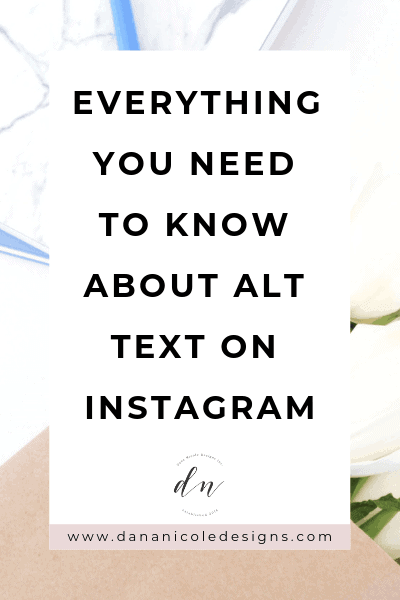 But before I go too far talking about alt text, let’s first discuss what alt text is, why it’s a big deal, why you won’t want to miss out on using it and how using it will help you get your Instagram posts ranking in Google! Alt text (alternative text) is a piece of HTML code used to describe an image. The primary purpose of this bit of code is to help visually impaired people understand what an image may look like. When someone lands on your website who is visually impaired, they are likely using a screen reader to read the content to them. But when they come across an image, how is their screen reader supposed to interpret it? That’s where the alt text comes into play. The alt text is what is read aloud by screen readers so that those who are visually impaired can still enjoy the same websites as everyone else. Depending on what content management system you use for your website or your blog will determine how you input your alt text. While the main use of alt text is for the visually impaired, your alt text will also show in place of your image if your image doesn’t load for some reason. Further, Alt text helps search engines place your images within search results. 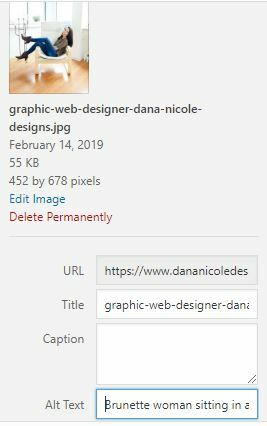 Adding descriptive words to your photos will help search engines understand what queries your images should be placed in. Now you know what alt text is used for, how do you write a good piece of alt text? Alt text is one of the easier pieces of content you’ll ever have to write! All you need to do is describe the image. If you were to close your eyes, what could you write that would sum up what your image was of? In this example, you could write: “A laptop, pastry and cup of coffee placed on a bed”. 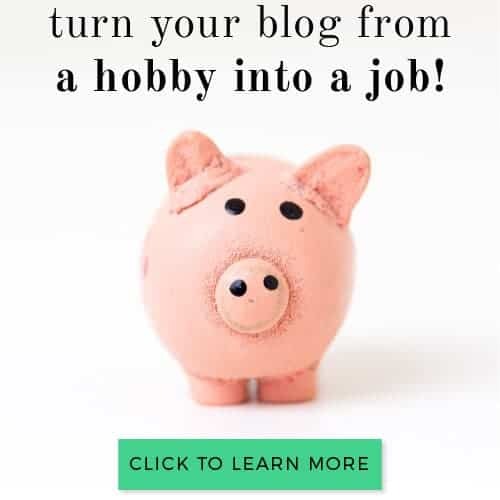 Many bloggers make the mistake of adding summaries of their blog posts to their alt text, rather than using them as an opportunity to describe the image. Doing this can result in lower rankings in search engines and even penalties. 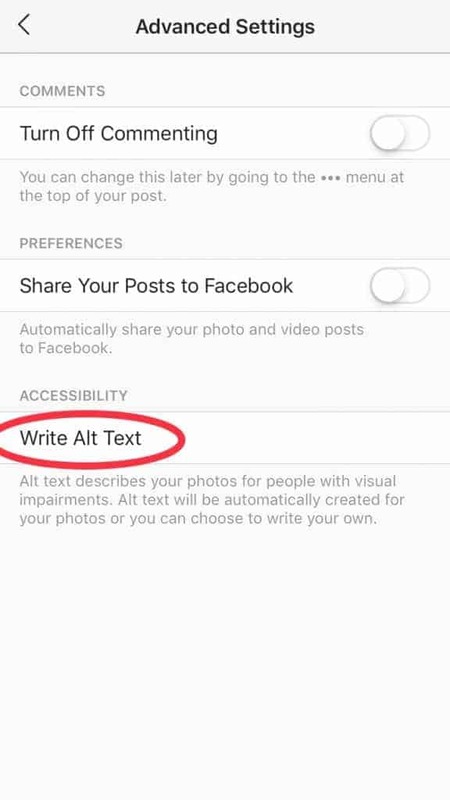 Now that Instagram has (finally) added alt text capability, here’s why you should be making use of it! Adding alt text on Instagram will allow you to reach an even larger audience than before. The World Health Organization estimates that 1.3 billion people have some type of visual impairment. Up until recently, many of those people weren’t able to use Instagram. 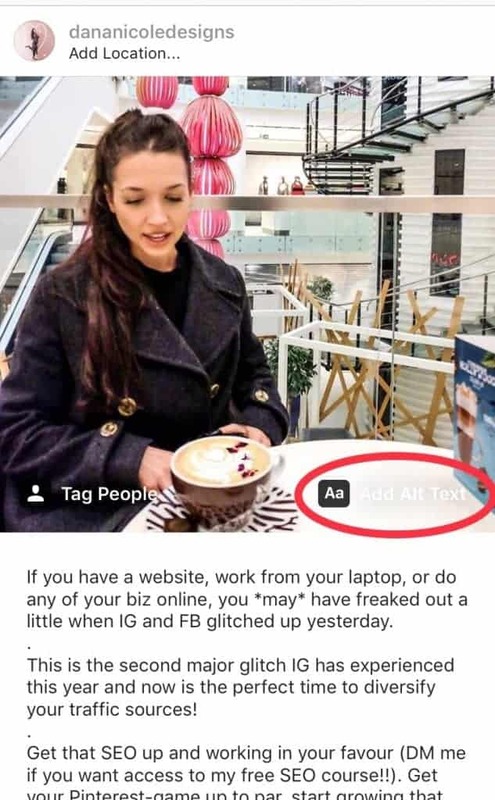 Adding alt text on Instagram is very easy, but Instagram hasn’t made it clear where you can find the place to put your alt text which is why many people still aren’t aware of it. 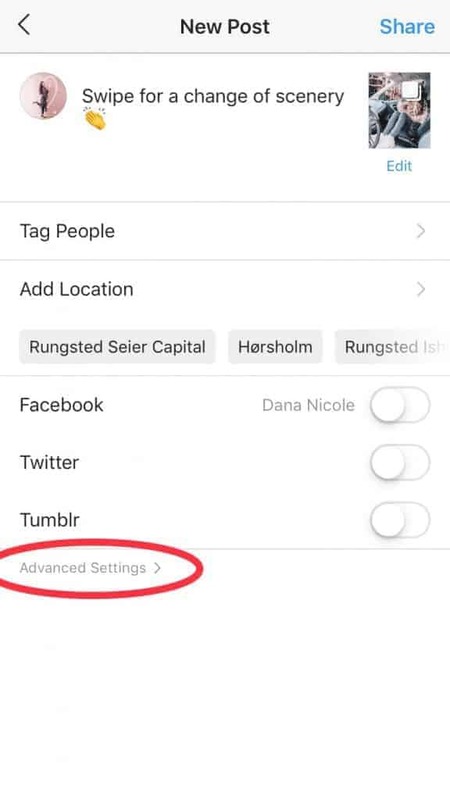 When uploaded a new photo, head over into “Advanced Settings” to bring up the alt text field. 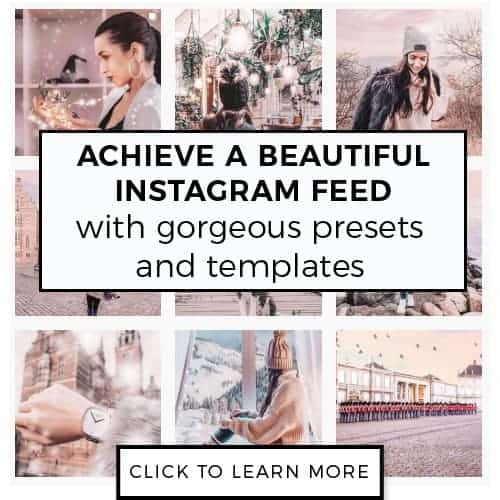 If you click on the link that says “Write Alt Text” you’ll be brought to a spot where you can craft your own alt text for your Instagram images. 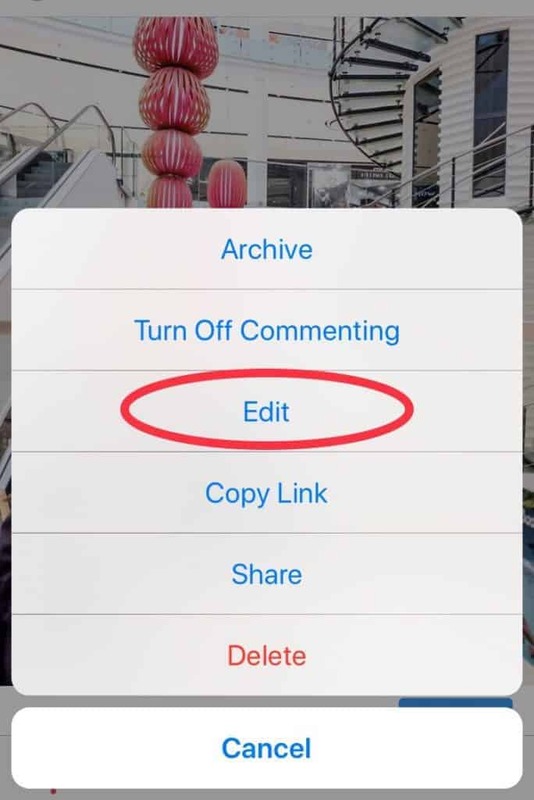 Adding alt text to existing images on Instagram is just as simple, but does require a couple extra steps. This will bring up several different options, where you want to select “Edit”. To the right, you can see an icon and link pointing you to the direction of the images alt text. By clicking on that, you’ll bring up a text box where you can directly add, edit and save your alt text. 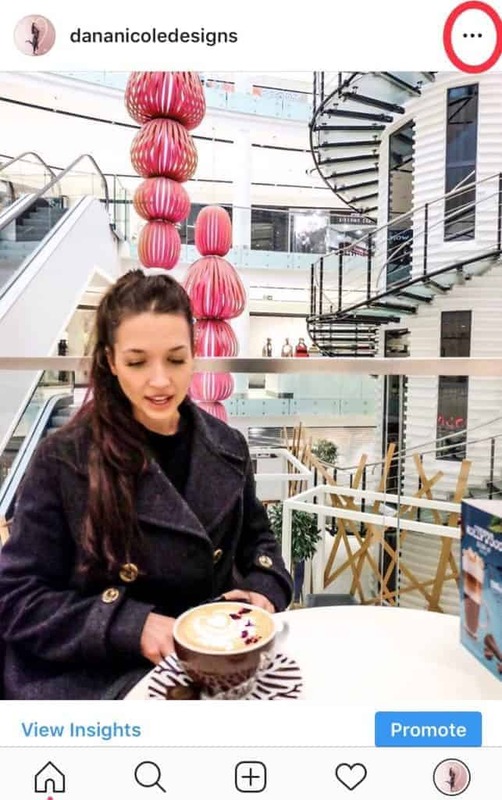 The alt text for the photo used above is “Brunette girl drinking a latte in a mall”. It’s concise and serves its purpose. Alt text should remain relatively short. Imagine you are using a screen reader and with every image you scroll past, your screen reader erupts in a long-winded paragraph detailing every image. It would be quite an annoying experience, so keep your alt text short and snappy. You might be wondering why you would want to create alt text on Instagram for your images. 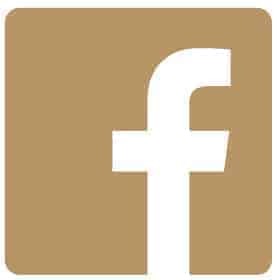 As mentioned above, with 1.3 billion visually impaired people worldwide, adding alt text opens your account and business to more potential followers and customers so you can grow your community online. And if you choose not to write alt text, Instagram will generate its own alt text by using machine learning software. In other words, do you want a machine to try and describe what your image is about (and potentially get it wrong), or would you prefer to spend an extra 10 seconds on your photos and add the alt text in manually? The next benefit of using your own alt text on Instagram is that search engines will be able to place your images in the search results now. As of now, Google doesn’t index Instagram images but with alt text capability it may only be a matter of time before that’s a possibility. For example, if you are a food blogger, adding the alt text “Spaghetti with meatballs and garlic bread” to your image (if that’s what it’s a picture of) will let Google and other search engines know to place your image in the search results when someone searches for something like “spaghetti with meatballs”. If your images are consistently showing up in search, you’ll be able to drive more traffic and followers to your account. It would be great to see search engines crawl our photos on Instagram so we can use it as a way to drive traffic back to our accounts (right now only Instagram accounts are indexed). 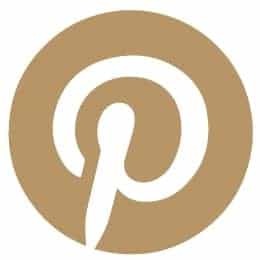 Adding alt text to your images on Instagram will help more users find you by making your photos descriptive for those who are visually impaired. Hey! Did you enjoy this article? If so, please consider giving it a social share!